I think now I’m officially part of the Yuval Noah Harari’s cult after finishing his 3rd book and reading over 1300 pages of his material. His first book Sapiens was focused on the history of humanity. His second book Homo Deus was about the future of humanity. This one is about the present. While in his first two books Harari sounds more academic, this book may come across as a self-help book helping us navigate yourself through the complexities of the 21st century. There are some reviews on The Guardian, Forbes, and The Washington Post if you like to learn more. 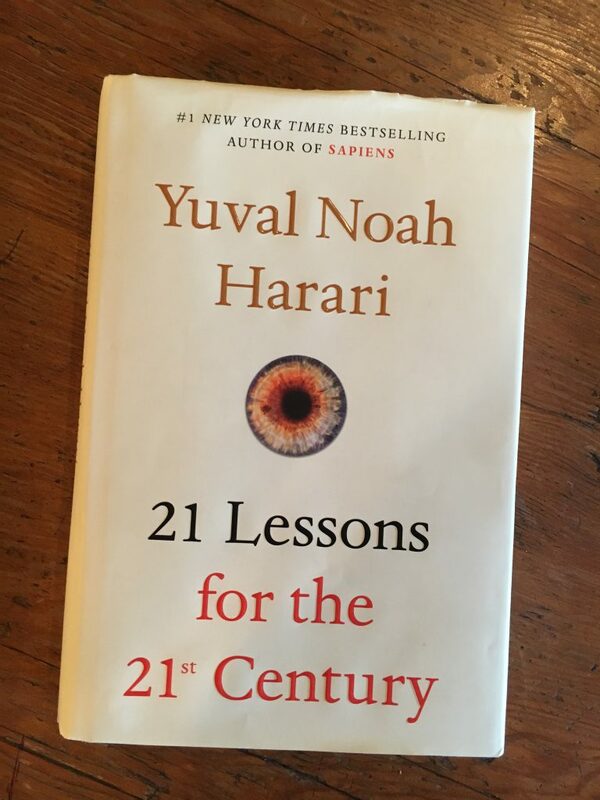 I think a lot of Harari’s readers discovered him because of this book, but may I recommend that you read the Sapiens and Homo Deus books first to enjoy a rich experience from 21 Lessons for the 21st Century. The 21 lessons cover areas such as work, war, nationalism, terrorism, religion, education, and medication. As a result of automation, workers will not only end up working for less money but also become entirely redundant. Wars aren’t as profitable as before, and that’s one reason that we haven’t had any major conflicts since World War II. Nationalism cannot solve world problems such as global warming, poverty, and disease epidemics and that’s why we need entities such as World Health Organization, and United Nations so all countries can organize and share resources. How sugar is killing more people than terrorism, and how terrorists use their limited resources to stage a theater of terror and even change governments. One of my most favorite lessons is how in education we used to focus on memorizing facts and information because access to information was limited. Today we have an abundance of access to information, but Facts are the needle in the haystack of misinformation. That is why modern education better be focused on teaching fact-checking skills and the ability to tell facts from fake news. The last lesson of the book is on medication and taking a mindful approach to world events and ourselves. Yuval Harari spends a month of every year on meditation. As someone who’s been meditating fifteen minutes a day for the last four years, I recommend both meditation and reading this book.